Every party needs to start (and end) with a hearty meal, which you’re pretty much insured to have in Montreal. Before the celebrations begin, you have to try the city’s infamous smoked meat sandwiches. Our go-to options? Definitely Shwartz’s. Name-drop this baby anywhere in the world and you’ll see eyes turning and mouths watering. Another majorly delicious spot is Reuben’s Deli & Steakhouse on Saint-Catherine Street. Their plates are EPIC so be sure to come in with a huge appetite. When the clock strikes 3 a.m., that’s your cue to discover Montreal’s best 24H restaurants (trust us, you’ll need the food). Poutine is the way to go and La Banquise on Rachel will never disappoint. If you’re craving something on the light side but oh-so-good nonetheless, St. Viateur bagels are a-ma-zing. And for killer grilled sandwiches, Joe’s Panini is a must-visit (just don’t mind the lineup). New City Gas – get your rave face on. Bier Markt – over 150 beers from over 30 countries. Love the Irish pub vibe? McKibbins, Irish Embassy, and Hurley’s Irish Pub – sláinte! Stereo, Muzique, and Copacabana – dance your heart away. Santos, Joverse, and Soubois – don’t expect to lounge. Curious about “le vrai Montréal”? Bily Kun and La Distillerie – as long as you’re not scared of ostriches. Kampai and Fitzroy – get your game on. No matter where you end up going, you’ll notice that we’re a friendly bunch. Don’t be afraid to mingle with the locals – they’ll want to show you a good time. Hopefully, you listened to our advice and grabbed some food after the party. But even if you didn’t you should still head out to Tam-Tams on Mount-Royal (only if it’s a sunny Sunday). The bongo sessions (among other interesting activities) is an exclusive Montreal experience so you don’t want to miss it. If it’s not a sunny Sunday, and you’re still feeling the effects of your wild night, book some massages at one of the many massage parlors in Montreal. If you have another night of partying ahead this may be the perfect prelude. 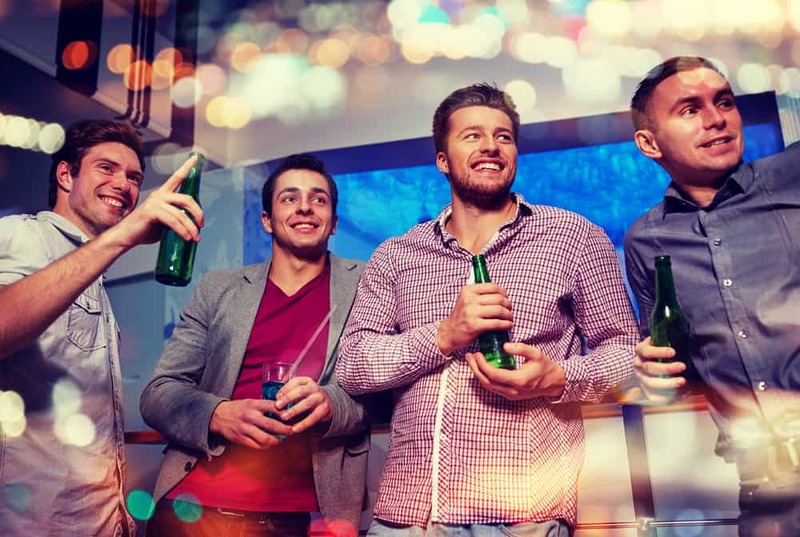 And there you have it, you’re A to Z bachelor party guide in the city that never disappoints. Your true Montreal experience will keep you and your buddies begging for more so what are you waiting for? Book that trip, the party is calling your name.